The Cutty Sark was a (formerly) major tourist attraction was seriously damaged by fire and while the restoration work is underway the most you’ll see of the ship are the ‘sails’ covering the wreck. 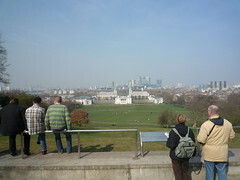 London’s oldest enclosed Royal Park (free) Greenwich Park is a wonderful place to lie on the rolling grass for a picnic, stroll, play sports or look out over London and there are paths for those with roller blades and bikes. 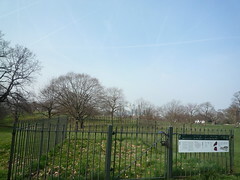 Not to mention the flower gardens, deer and the less spectacular Roman ruins and Queen Elizabeth’s Oak. 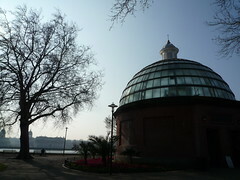 Running from the southern bank near the Cutty Sark the foot tunnel runs under the Thames to the north bank. It’s a tunnel and it’s free. That’s about it but apparently it’s a thing to walk across but probably not necessary! 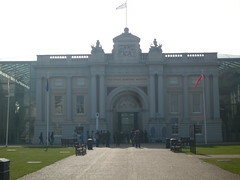 The National Maritime Museum is pretty much here for all of your maritime needs and is one of the major attractions of the Greenwich area. Inside the free museum (although you’ll still need to get a ticket from the counter – weird!) there are sections detailing international shipping and trade (including slavery), naval warships, marine habitats and exploration. 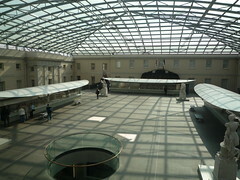 It’s quite a large museum and can take some time to wander through but worth it. 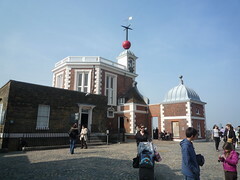 The Observatory and Planetarium is split over two distinct precincts on top of Greenwich’s hill. The former is easy to spot with the tower and it’s red ball looming over the area. The red ball drops everyday at 1PM (it’s very anticlimactic), it’s a tourist event but used to perform the function helping ships in port to synchronise timepieces. The rest of the observatory predominantly deals with issues concerning timepieces, longitude and latitude. 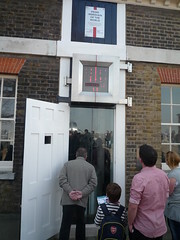 The observatory area also has a camera obscura and the famous Meridian line where everyone stands at zero degrees. The Planetarium has some very cool interactive displays looking at astronomy and space flight – it also has a number of shows (these are charged). 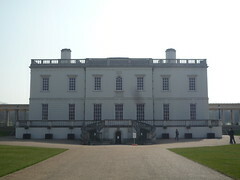 Part of the Observatory/Maritime district the historic Queen’s House was home to Anne of Denmark and queen to King James I. You’ll be given a complimentary audio tour (entry is free) and it will guide you around the architecture and art in the building. The most noted feature of the house is the Tulip stairwell – apparently the first free standing one in England. Reasonably quick to walk around but not particularly interesting or worthwhile. 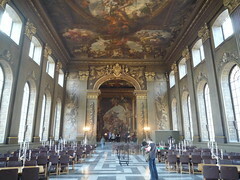 The Old Royal Naval College is across the road from the National Maritime Museum and features two historic buildings: The Painted Hall and the Chapel (both free). The architecture and interiors for both of these buildings are well designed and are well worth checking out. The former even has some mirrored tables to reduce neck strain as you look at the painted ceilings! 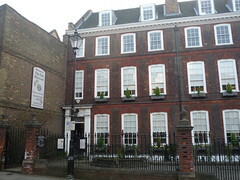 The Fan Museum is funnily enough a museum about fans. Honestly if it weren’t for my obsessive need to see London’s museums I probably would have skipped it but it was actually reasonably interesting. 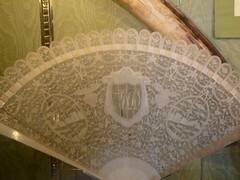 I found the fans made entirely of ivory particularly fascinating. Just make sure you get the information booklet, which has plenty of additional information about each exhibit. It costs £4. 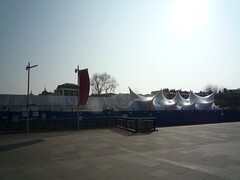 There used to be 2 markets in Greenwich (3 if you count the small one up on the high street towards Deptford) but with the closure of Greenwich Village Market we’re left with the Greenwich Market. 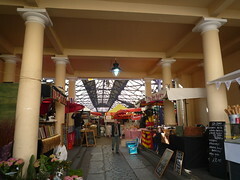 It’s predominantly undercover and has sections for food, knick knacks and all the other usual market fare. It’s centrally located near the historic districts and DLR. 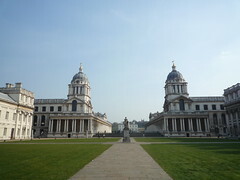 All in all a day out in Greenwich is a wonderful experience, particularly on a sunny day when you can sit out in the grass and let the world pass by.